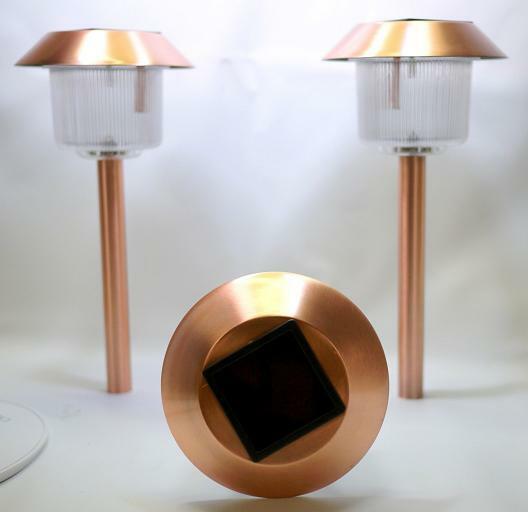 Elegant and simple these 12 Copper Belmont Solar Pathway Lights will ad style to any walkway, yard or garden without having to figure out wiring. Requires no power source, the solar lights can be installed anywhere. Solar panel collects natural sun light and charges the internal rechargeable batteries during the day, as night falls these solar lights turn 'on' and shine your garden or walkway. With a wide angle natural white LED and special optically designed lens these solar lights will emit super bright light.